Twitter is The Secret. Just put it out there to the world. Just tweet it out there to the world. It’ll happen. 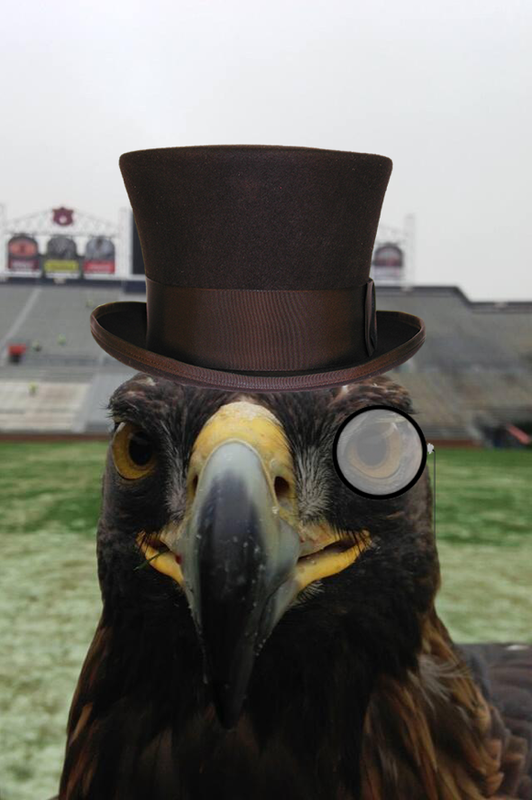 Every Day Should Be Saturday.com’s Spencer Hall felt deep down that Nova needed a top hat and a monocle for this to truly be the greatest War Eagle photo in the world. Top hat / monocle: Ryan Dunsmore.